At long last, the press release confirming what we've long suspected. Composer Garry Schyman is returning to the remarkable world of BIOSHOCK, from the minds at Irrational Games. Truly one of the stand-out franchises over the last half-dozen years, BIOSHOCK's mystique owes a lot to the music of Garry Schyman. Schyman has carved out a distinct, musical place for the game franchise - one that couldn't easily be discarded or shifted. So who else could really score the next entry? Sadly, there is no mention of an original score release...yet. But let us hope Irrational Games is as generous has they have been in the past! Los Angeles, CA, Feb.25, 2013 - Award-winning composer Garry Schyman has created a unique musical score for the highly anticipated video game BioShock Infinite developed by Irrational Games and published by 2K Games. Recorded with solo string instruments, intimate string ensembles, and experimental percussion, Schyman's raw and intensely emotional score reflects BioShock Inifinite's compelling narrative, following the development of the relationship between the lead characters, Booker DeWitt and Elizabeth, and immersing players in the game's spectacular alternate early Twentieth Century setting. 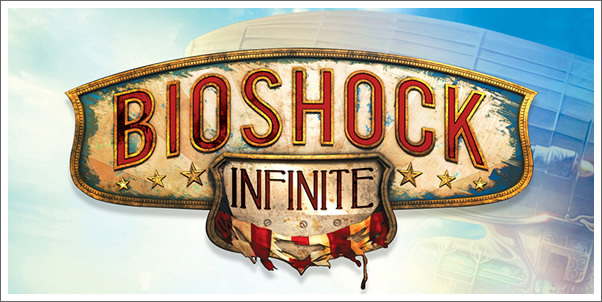 BioShock Infinite will be released for Xbox 360, PlayStation 3, and Windows on March 26th, 2013. Film, television and video game composer Garry Schyman is one of the interactive medium's foremost composers, renowned for his multiple award-winning score for the original BioShock - winner of Best Original Score from the Academy of Interactive Arts & Sciences, Spike TV's Video Game Award for Best Original Score, G4 TV's Soundtrack of the Year and four awards from the Game Audio Network Guild (G.A.N.G) including Music of the Year, Best Interactive Score, Best Original Instrumental and Audio of the Year. "It doesn't get any better for a composer than to be able to score a game as remarkable as Bioshock Infinite," says Schyman. "It provided a vast canvas filled with extraordinary and completely unique characters and situations that permitted me to be creative in ways that we composers usually only dream of. Much thanks goes to Ken Levine, James Bonney, and the entire team at Irrational for inventing such an astonishing world and then letting me write music for it!" BioShock Infinite is planned to launch globally on March 26, 2013 for the Xbox 360® video game and entertainment system from Microsoft, PlayStation®3 computer entertainment system and Windows PC. PRE-ORDER BIOSHOCK INFINITE AT AMAZON.